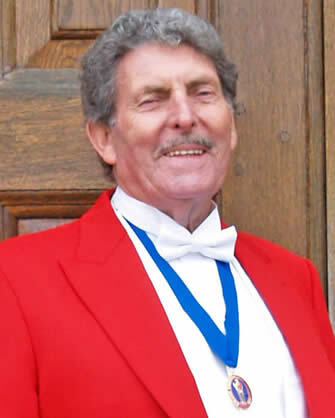 John is no longer a practicing toastmaster but would be pleased to advise you on giving speeches and / or presentations regarding the history of toastmasters. or e-mail John at jtparker@sky.com for a swift reply. 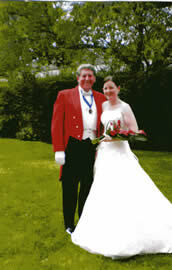 "I will be pleased to help"
John was an all round wedding professional who had been involved with catering and entertainment as a singer for over 30 years. 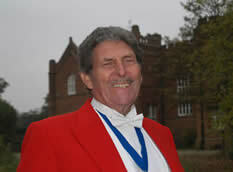 John has a wealth of experience with stage productions working with large groups of people and he was able to offer a wide range of experience to guide you through your day and make sure that everything ran smoothly and that you had lots of fun, secure in the knowledge that he would care for all of your needs. We are writing to express our very heartfelt thanks for the fantastic job you carried out at the wedding of our daughter, Kathryn. Your efficiency at the church in helping the photographer organise photos and 'crowd control' helped to make the celebration so enjoyable. Also, many thanks for being such a wonderful Master of Ceremonies at the reception, your calmness in organising the seating, and sense of humour in introducing the speeches went so well. Our guests remarked on what a good job you did. We would be very happy to recommend you for any future assignment. Do please feel free to give telephone number to anyone who would like to speak to us! Once again, many thanks John, the day would never have gone so well without you!